And here we have…Harry Hotspur. The picture is from here, an interesting site about the Percy family. This is said to be a very good likeness of Hotspur, although how anyone can really know that I’m not sure. Clearly he conforms to a Percy “type”. The section dealing with the Percys under Richard III is under construction, so it’s a case of watching this space. One of the most intriguing stories of the English medieval ages – and like most good stories this one is upfront and personal – involves Prince Hal (the future Henry the Fifth) and the Battle of Shrewbury that took place on July 21, 1403. For whatever reason, this particular story is overlooked in Shakespeare and completely ignored in the poet Robert Nye’s great novel “Falstaff.” The tale involves a highly bloody battle fought by King Henry IV against the legendary rebel Henry “Hotspur” Percy and the usual warlike nobles and the brave sixteen year old Prince of Wales. The main instrument of destruction in the battle was the vicious long bow that caused soldiers to “fall like leaves in autumn” and “so fast and thick that it seemed to the beholders like a thick cloud, for the sun, which at that time was bright and clear then lost its brightness so thick were the arrows.” So thick in fact, that later on in this brutal episode, Hotspur was killed by merely thrusting back his visor for a moment and took a direct hit to his face. This was the bloody act which led to the end of the battle and victory for Henry IV. The estimates were that 3,200 men died and 3,000 more were injured. 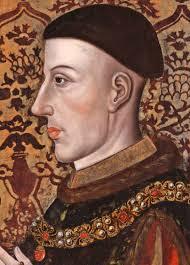 Prince Hal was luckier than Hotspur – although, he too, took an arrow to the face. 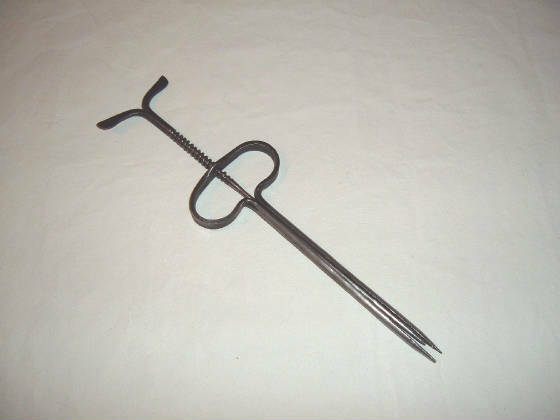 The arrow, called a bod or bodkin, was designed to penetrate mail and armor. Happily, it was a narrower type of weapon than the broadmore which was a far more destructive arrow. The bodkin struck Prince Hal on the left side of his face, next to his nose, boring into the back bone of his skull six inches deep. With typical English bravado that always seemed to reach magical proportions in medieval wartime, Prince Hal determined to continue fighting, despite the long wood shaft protruding from his face. It is possible that this particular arrow ricocheted and its speed was cut considerably. In any case, The Prince, or someone else, pulled out the wooden shaft but the wound made by the lodged arrowhead began to fester and he was eventually evacuated to Kenilworth Castle. Barber surgeons tried various methods but could not help the young man. It was from there that a message was sent to the surgeon/metal worker and jeweler, John Bradmore, who was currently imprisoned in the county of Oxford on a charge of counterfeiting coin. Many surgeons at this time were metalworkers, trained to make their own medical instruments. Dr. Bradmore also seemed have run a side line in jewelry-making and perhaps counterfeiting the King’s treasury. 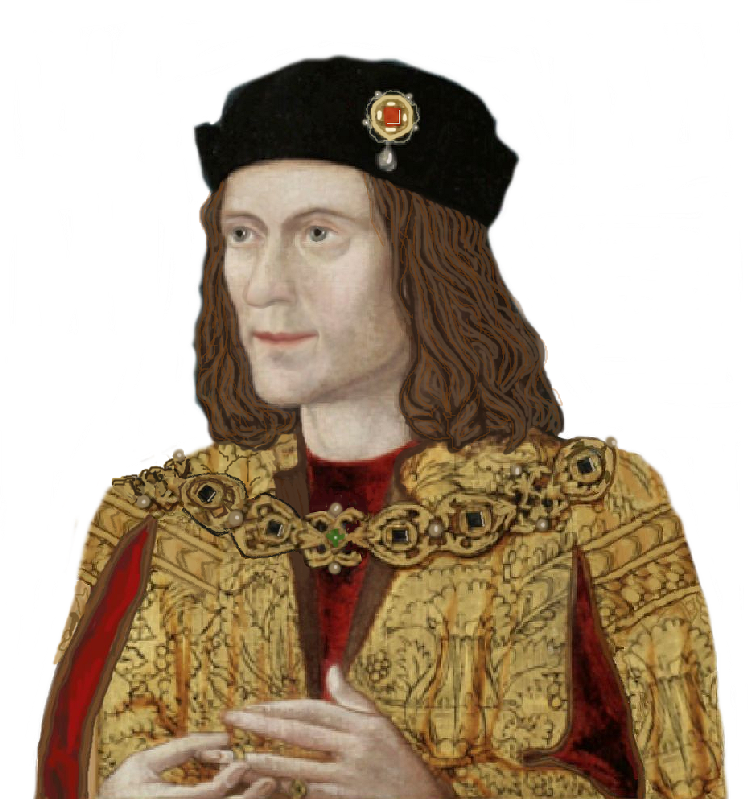 In any case, he was soon released from prison and dispatched to Kenilworth to see the young Prince. The cleansing ointment appeared to be made of flour, barley, honey and flax. This procedure was repeated for the next twenty days. Each time, the probe became smaller and smaller until the wound naturally closed. Prince Hal’s recovery period took perhaps a year and we do not know whether any opiate was given to the young man. Some historians place this incident in the life of the King as a turning point that changed a young wastrel given to wine, women and bad companions to a cold, aloof King, who although seriously pious, was ruthless towards his enemies. Some writers question whether this personality change could have been caused by an impairment of his temporal lobe due to his battlefield injury. Another outcome of this terrible wound is that Henry would never have a portrait painted in anything but profile – the left side of his face being badly disfigured by scarring. For his unique services, Bradmore was paid an annuity of ten sovereigns a year and continued in the King’s service (such as devising and delivering medication) while also covering other duties for the Kingdom. If indeed he was guilty of counterfeiting, let’s hope that his annuity was sufficient to cure him of this small failing on his part! “Prince Hal’s Head-Wound: Cause and Effect” by Michael Livingston; Medievalist.Net.